The organisation behind one of Cornwall’s major festivals has announced that it will not run this year. 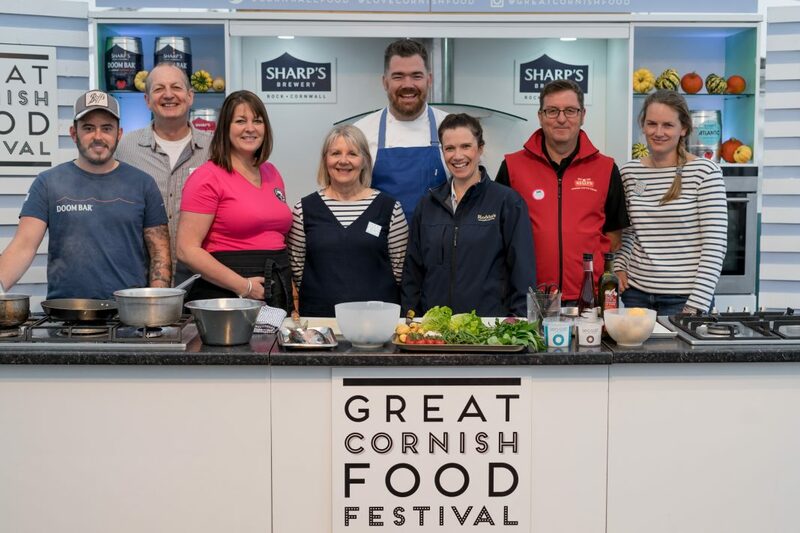 Last year, Cornwall Food & Drink revealed that the well-loved Great Cornish Food Festival, attended by around 40,000 people, was taking a break in order for the format to be reviewed, but has now confirmed that it has not been able to take the event forward in the way it had hoped. Ruth Huxley, MD of Cornwall Food & Drink, took on the festival in 2009 when its future was in jeopardy and managed it for the following eight years. During that time, visitor numbers to the three-day event on Truro’s Lemon Quay more than doubled, while trade for some of the food and drink producers exhibiting increased even more. The event developed a reputation that attracted visitors from all over the world, with professionals from the wider food industry making a regular pilgrimage to take a look at the latest stars of the Cornish food scene and often to do business with them. Cornwall Food & Drink’s own in-depth analysis estimated that the event generated more than £3 million of business for the county each year. Explaining the thinking behind this “immensely difficult” decision, Huxley said: “First and foremost we have had to face the harsh reality that the festival has outgrown its location on Lemon Quay. Although very central and well connected to the transport infrastructure, we’ve been bulging at the seams there for some time. We’ve been as creative as we can over the years with the available space but feedback from visitors told us loud and clear that they wanted the event to be extended, with even more going on and more space to relax. However, the search for a new venue that might tick all the boxes for taking the event forward has proved fruitless and one of the contributory factors is cost. “The amount of investment needed to build the event in a new location is far more than we feel we are likely to raise in the current wobbly economic climate,” Huxley added. Paying tribute to all those who have supported the festival since it began in 2004, its founder, Steve Whittingham, owner of Fodders in Tinners Court, Truro, said: “I’ve had the best times of my professional life, without a doubt, working on the festival and I would like to give my heartfelt thanks to all the chefs and food producers who have come to the festival and made it such a great show.